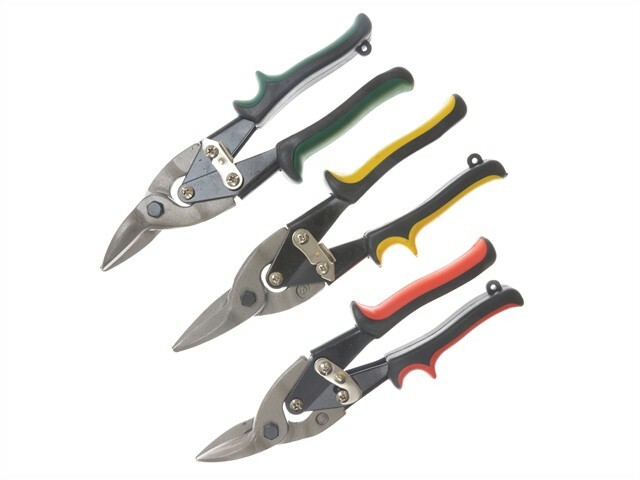 A set of 3 aviation snips; left, right and straight cut. Compound leverage for easier cuts and a safety latch for storage. Comfortable colour coded vinyl cushion-grip handles. They can cut through aluminium, sheet metal, leather, asphalt and rubber.